This fully furnished two bedroom apartment is located within walking distance of the city centre and is close to all local amenities and transport links. Entrance hallway leads through to a spacious open plan living area with exposed brickwork, original sash windows and beautiful wooden floors. The fully fitted open plan kitchen has integrated appliances including washing machine and a large fridge freezer. The master bedroom boasts a large sash window giving plenty of light and includes a separate dressing room area which is entered through an arch from the bedroom. The second bedroom is a smaller double. The bathroom has been very well finished with exposed brickwork, a waterfall shower, basin and WC. 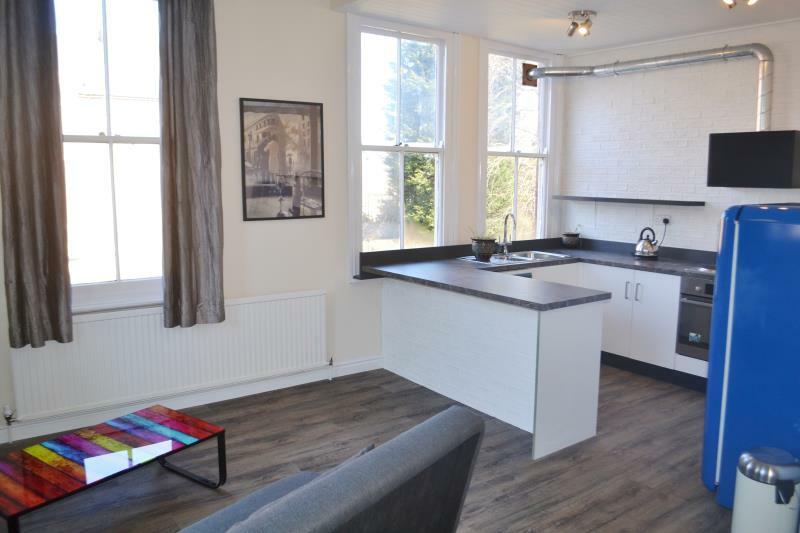 The apartment has been beautifully designed with stylish and contemporary fittings throughout and is within walking distance of the city centre. This would be fantastic apartment for a couple or single professional. The property comes with one rear parking space behind electric gates. Council Tax Band: A IMPORTANT INFORMATION: Fees and Deposit Breakdown Individual Applications (inclusive of Inventory and Check-out Fees) are chargeable at £250 for the first Applicant and £150 for all additional Applicants over the age of 18 Corporate Agreements are charged at £350 per Tenancy Guarantor charge (if applicable) is £60 per Guarantor Home Office Visa Check (if applicable) is £60 per Tenant All fees are inclusive of VAT Deposit Payments are typically £100 more than the agreed rent (this is subject to adequate references, a higher deposit may be required depending on individual circumstances - we will clarify the Deposit amount prior to accepting your Application).